Mint Properties. Scientific name, other names, botanical family. Identification, characteristics, origin, content and active ingredients of Spearmint. Mint is a perennial herb, creeping, with angular branches, glabrous or slightly pubescent, leaves opposite, oblong, rough surface and serrated margin, shortly petiolate. Its name is also known by Mentha x piperita which is a triple hybrid: Mentha longifolia x M. rotundifolia (M. spicata) x M. Aquatica, having similar effects. It is likely that its origin is from the Mediterranean region and naturalized throughout Europe and North America. The Mint´s used parts are leaves, which contain essential oil (1-3%) *, rich in menthol, flavonoids (timonina), caffeic acid derivatives including some amounts Romárico acid. 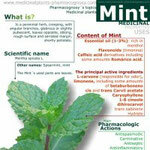 summary characteristics and properties of Mint. Mint Properties. Scientific name, other names, botanical family. 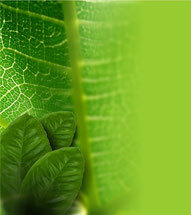 Identification, characteristics, origin, content and active ingredients.